S-2 295 at Springfield, Missouri on November 15, 1970 (Charly’s Slides). 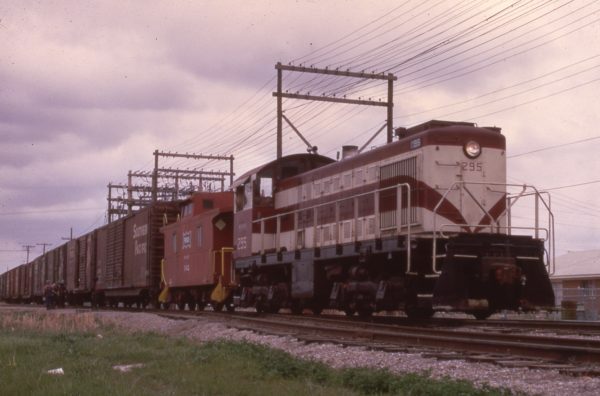 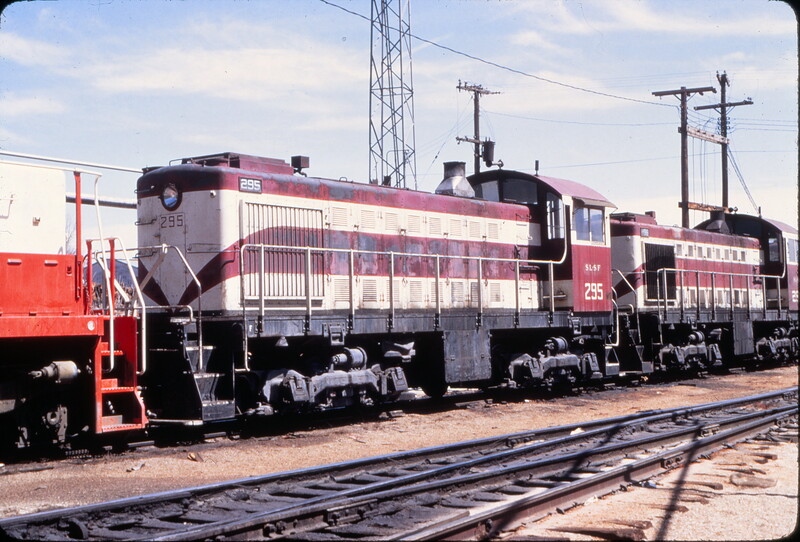 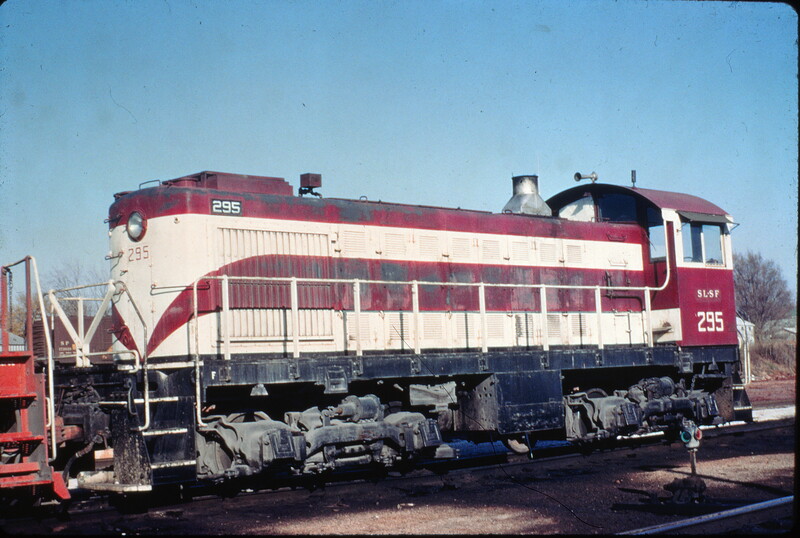 S-2 295 and Caboose 162 at St. Louis, Missouri on April 20, 1968. 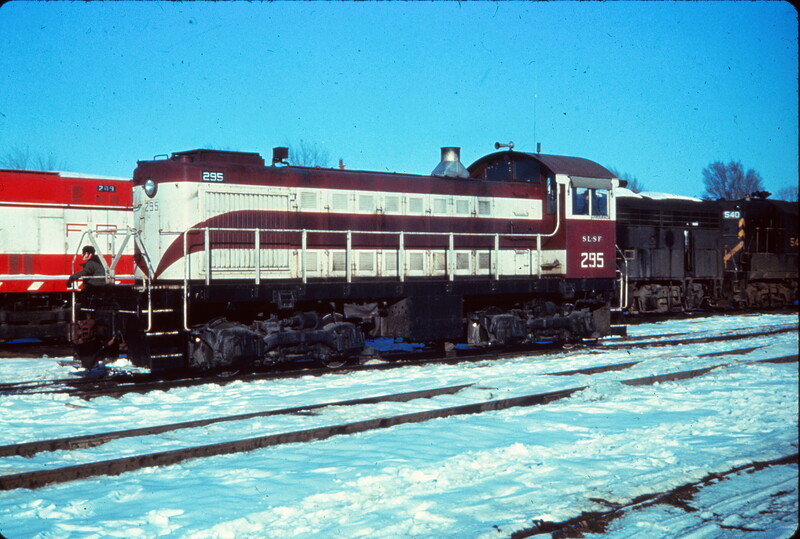 S-2 295 (ex-Northeast Oklahoma Railroad 703) at Tulsa, Oklahoma in January 1971 (EVDA Slides).